The Texas franchise tried to find an outlet for the Spanish player and now they could cut him before the end of the month so he can go to another team. It was already known that the San Antonio Spurs tried to transfer Pau Gasol before the market close last Thursday. But what has been known now is that it was the Spanish player himself who asked for his departure from the Texan team. The few opportunities with which he is counting are the reason why he wants to change the air. The franchise, meanwhile, would not hurt to get rid of Pau's contract, which receives 16.8 million dollars, the third highest salary of the template. The Spurs tried to reach an agreement with some team but it was not possible. The option that is being shuffled now is to cut him and to be free in the buyout before March 1, the deadline for players to leave their current contracts before signing another if they want to play in the playoffs this season. Night night he played 7 minutes in the loss to Utah. After the match and asked about his current situation, this was what he said: " I am focused every day to be prepared, to give the best of me in everything that is under my control, to be a professional and a good companion. what can I do, the best I can do, but obviously, it's not the ideal situation ".
. His socks have suffered a lot compared to his career. It is the first time that averages less than 20 minutes (12.7) and points (4.4). 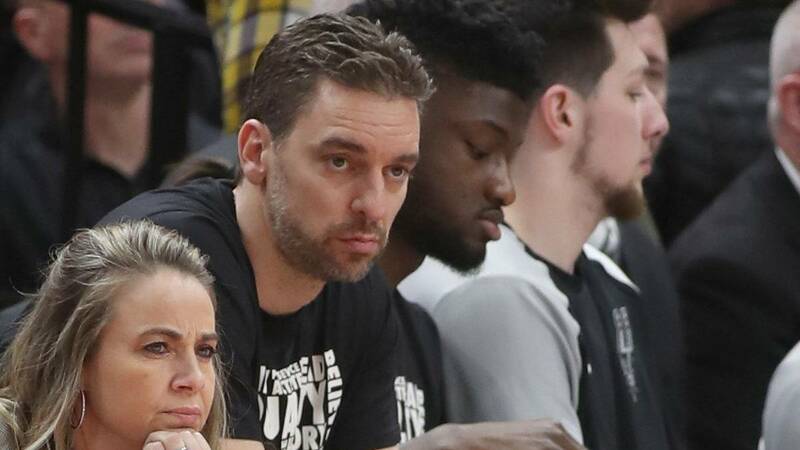 The last rumor is that if it was cut the Toronto Raptors could be interested in to take over their services, thus bringing the Gasol brothers together in the same wardrobe.